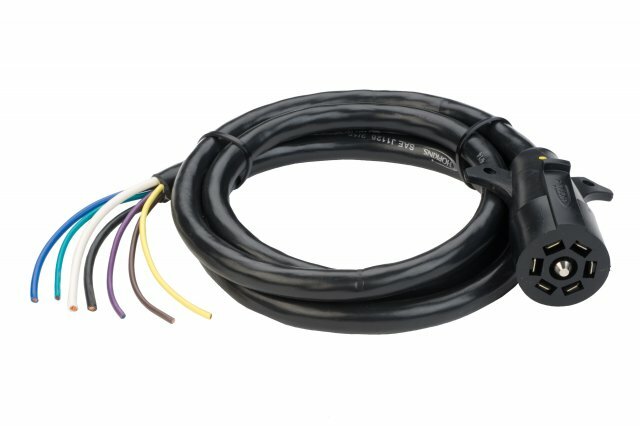 The 7 blade molded cable utilizes the Auto Industry wiring code. It's prewired and provides protection to the wires with the jacketed wire sleeving. 7 Blade connectors are typically used with large trailers and are the most common vehicle side connectors.